Flip a 3 Coins. If all of them are heads this attack dose 80 damage. If at lest one of them is tails, Charlie is now dead. place him in the Discard Pile if this happens. 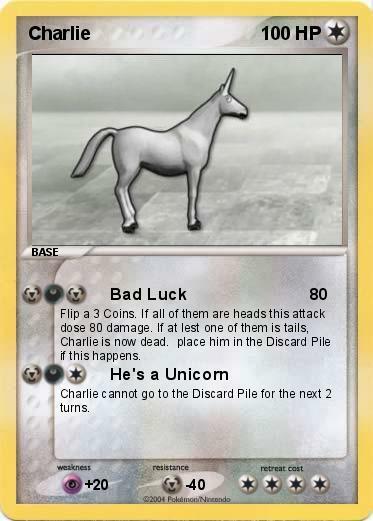 Charlie cannot go to the Discard Pile for the next 2 turns.